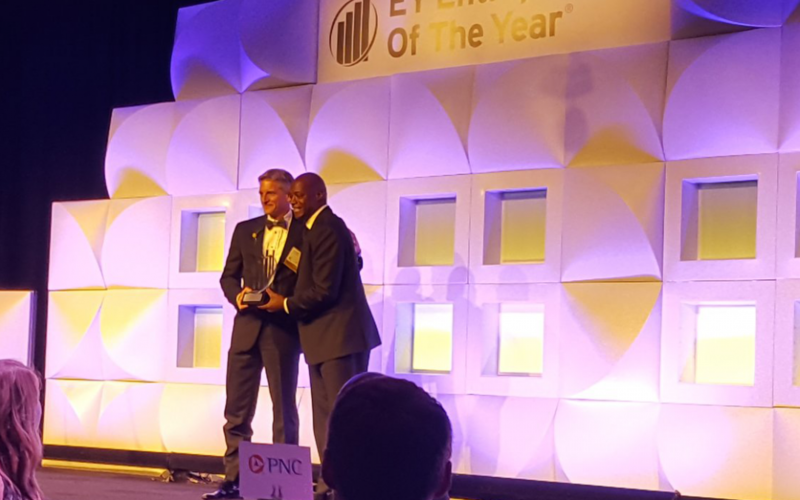 Tysons, Virginia – June 15, 2017 – Ernst & Young (EY), one of the largest professional services firms in the world, awarded Joe Fluet, CEO of MAG Aerospace, the Entrepreneur of the Year® 2017 Award in the Mid-Atlantic region. Celebrating its 31st year, the Entrepreneur of the Year awards program honors those men and women who take an idea from vision to reality, those who build businesses, delivering products and services that drive our economy forward. The program recognizes entrepreneurs who are excelling in areas such as innovation, financial performance, and personal commitment to their businesses and communities. Joe Fluet as selected as the winner of the Mid-Atlantic region by a panel of independent judges. Since inception, the program has expanded to recognize business leaders in over 145 cities and more than 60 countries throughout the world. Award winners were announced at a special gala event on June 15, 2017 at the Ritz-Carlton, Tyosons Corner. To learn EY’s announcement of Mid-Atlantic winners, click here.